Fiat 124 engines are not only powerful and flexible, but very reliable with proper service. As with many modern import cars, long life is par for the course for a well-maintained Spider. Fix the Electric: Unlike many of its imported contemporaries–like the MGB!–the Fiat 124 has an electrical system that’s well thought out and well engineered. Color-coded, circuit-specific connectors and an easy-to-reach fusebox make it a dream to maintain. If the connectors are clean and the grounds secure, the system is first-rate. But there’s one glaring exception: Nearly all the necessary electrical current routes through the ignition switch, which diminishes the available power and causes the switch to fail prematurely. The answer is to avoid installing over-capacity alternators–at best a risky proposition. Oversized alternators have been known to burn up voltage regulators and ignition switches, a sure indication of additional damage to the electrical system. The great news is that for less than $40, the do-it-yourselfer can install relay kits and a few new ground pods, bringing the electrics into the modern era. Maintain, Maintain, Maintain: Apart from the routing of the electrical system, the most common headaches for owners–cooling system issues, timing belt failure, failure of the flex disc (the round rubber isolator that connects the output shaft of the transmission to the drive-shaft)-are all fairly easy to remedy. The first two problems have a simple solution: regular maintenance. Many American Fiat 124 owners who are accustomed to domestic vehicles don’t even realize that the timing belt and flex disc require occasional replacement! These are both easy tasks, with plenty of clear Fiat original literature reproductions available to help with swapping them out. The cooling system issues are a tad more complex. The trouble arises due to the fact that the radiator is lower than other points in the coolant path. If you do any work that involves the cooling system, you must then “burp” the water jacket to ensure proper coolant flow through the radiator. Burping is a simple procedure, but few are familiar with it. Skipping this task leads to overheated engines, rigged cooling fan operation, and the search for a low-temperature thermostat. In this case, the addition of a $ 12.99 Flush Tee installed in a heater hose and a quick read of the reproduction factory shop manual resolves this issue. 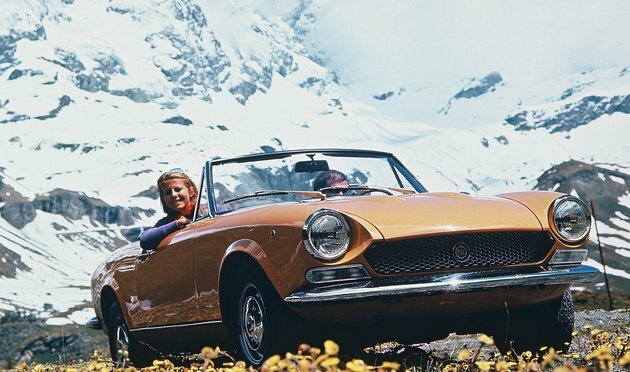 The Fiat 124 Spider. A lot of people think of a sports car as a fast, noisy automobile with a stripe. To Italian car-makers there’s a lot more to it than that. Consider the 124 Spider’s: twin cam engine, four wheel disc brakes, five speed gearbox, radial tires. In the land of Ferrari, Maserati, Lancia, and Fiat that’s how a car gets to be known as a sports car. To a company like Fiat, how you get there must be just as exciting as where you’re going. Go Faster: Job number one is fuel delivery, and the best fuel-delivery system out there is our Programmable Fuel Injection. 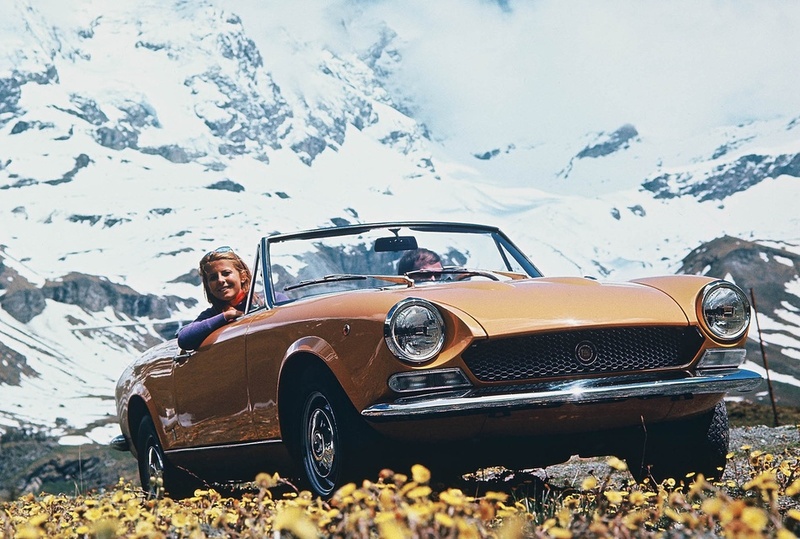 It’s the world’s only modernized, scalable fuel-injection kit–with direct spark control!–for the Fiat Spider. We ship it worldwide. This PFI kit allows the do-it-yourselfer to maximize any and all enhancements made to the engine, whether it’s high-compression pistons, forced induction, head porting and polishing, radical cams, a header or freeflow exhaust. For maximum horsepower, there is no substitute. A carb or two will only go so far, and PFI outsells our dual carburetor four to one. Between the PFI conversion and our pistons, head, cams and exhaust, we have dyno results showing a 70-percent increase in power above stock. Stop Sooner: Second, I’d install either the Vick Autosports Improvement Performance Brake Kit or our new Prima Performance Big Brake Upgrade Kit. Not to be confused with other kits, our brake kits are the only direct-fit vented rotor brakes for the 124. Enthusiasts consistently comment on the quick stopping and rock-solid feel of the brake pedal that our kit provides. Folks are amazed at how much steering wobble the original brakes can exhibit. Keep It Going: Because I live in Texas, where it’s very hot, my third pick would be our dual-row, cross-flow aluminum performance radiator. The cross-flow design improves cooling, and the bright aluminum looks fabulous under the hood. Rethink the Rims: Bar none, the best accessory investment for a Fiat Spider is a set of 15-inch alloy wheels. For starters, the 13- and 14-inch tire is going the way of the buffalo–especially ones in the very tall profile required by the Spider. Enter the 15-inch rim. The slightly lower profile and wider contact surface improves handling and response drastically while opening up a world of available and inexpensive tire sizes. We recommend the 205/50R15 size for Spiders: The 50-profile is not too low or high, and it looks just right in the well of a 124. Better driving, better looking, better tire selection: win! Mechanically speaking, the steering is the Fiat 124’s most frustrating issue. Nearly every 124-series car, in all variations, was equipped with a traditional steering box/drag link setup. This makes for a lot of moving pieces and a lot of maintenance: six tie rod ends/ball joints, a steering box that requires lash adjustment to eliminate that midlife inch of free play at center, and an idler that likes to lose its fluid and stiffen up over time. Only at the very tail end of Pininfarina 124 Spider production, in late 1985, was a rack-and-pinion setup implemented. The difference in steering responsiveness and feel is immense. The early chrome-bumper models are more aesthetically pleasing than the later cars, in my opinion. The early flat-hood cars, with their honeycomb grilles and smaller taillights, have just a nicer, more pleasing look. The tradeoff with later cars is that they have a lot more power, with bigger-displacement motors and even fuel injection. A lot of refurbished early cars receive later motors to get the best of both worlds. Mechanically, the stock braking system is great if properly maintained. It became the standard for all disc brakes on all other Fiat models (and their licensed variants) well into the late 1980s, so interchange and availability of parts is not a problem. The attention that we’re talking about also includes a seasonal look under the hood and under the car, particularly at the brakes. Ensure that the mounting hardware is clean and well lubricated, then do a quick check of wheel bearing free play, the motor mounts and the exhaust. Every 10,000 to 15,000 miles, perform a valve lash adjustment. Every three years or so, do a quick removal of the fuel tank sending unit to inspect the inside of the tank. Junked-up fuel systems and bad check valves will cause a lot of Fiat owners grief. More power is always a good thing, and these motors were traditionally undertuned in stock form. 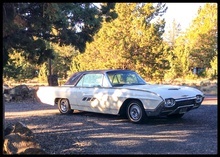 They respond extremely well to traditional bolt-on improvements, including exhaust, camshaft and carburetion. Interestingly, many great “hop-up” items for these cars are actually stock items, such as the 1967–’74 4-into-2 exhaust manifold, 1974–’78 large-bore carburetors, and later PLEX-style electronic ignitions to replace early points. I’m not much of an accessory guy, but the most functional option is a skidplate to protect the oil pan. The pan sits quite low in the chassis, and I’ve never seen a single 124 come into our shop that didn’t have a dented, if not completely smashed, oil pan caused by raised driveways. A lot of 124 cars met their end because an owner crashed the oil pan and broke the pickup foot of the oil pump without realizing it. Now, the one accessory not to add, in my opinion, is a luggage rack. A 124 Spider whose trunk lid doesn’t have four holes hacked into it to mount an aftermarket luggage rack is truly a rare thing. The 124-series cars are extremely affordable and easily available for the first-time owner. They’re continuing to rise in value, though. Some variations that weren’t much on the radar a few years ago–especially the 124 Coupe and more recently the 124 Sedan–are starting to come into vogue. The Coupe went through three generations with some significant cosmetic body modifications. The AC (Series 1) and BC (Series 2) are really beautiful two-door, rear-drive cars. One thing that sounds cliché but is absolutely true is that these cars love and need to be driven. Regularly. It has nothing to do with their make. It has everything to do with their technology. Carburetors evaporate fuel over long storage and plug up. Fuel tanks rust from condensation. Brakes stick. Ignition components foul. Seals go dry. It’s no fun chasing routine mechanical issues on a garage queen. We have had 100,000-mile daily drivers in our shop that looked like hell but functioned better than a fully restored car taken out only a couple times a year. I think the most important thing to mention to aspiring first-time Fiat owners is that you get what you pay for. In almost every case, unless a car has clear evidence of regular driving and service, it will be in for a lot of upfront work to become reliable and dependable. Aunt Millie’s rust-free 1970 124 Spider that’s been sitting for 15 years won’t be back on the road for a couple hundred dollars and a weekend’s worth of effort. It will require refurbishment of the main systems-fuel, braking, steering, suspension-along with some basic engine maintenance-timing belt, tensioner, ignition, valve lash, etc.–before it will be fun. Focus on the basic mechanicals before running out to buy a new steering wheel or shifter knob. Fortunately, most of this work can be accomplished in your garage with easily available parts and the help of enthusiastic online forums. At the end of the project, you’ll be the proud owner of a desirable, head-turning, true Italian sports car.